I am a big fan of chicken bacon ranch, the flavor combo is amazing! I also am a huge fan of low carb zucchini boats! 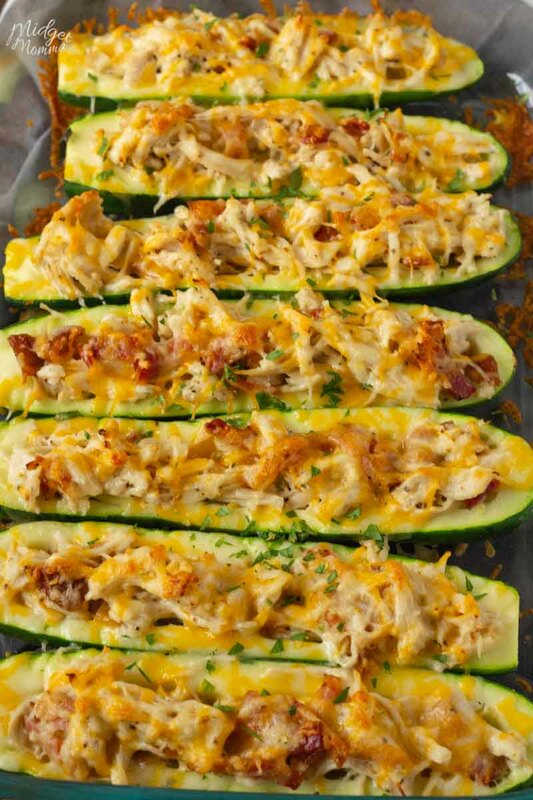 This Chicken Bacon Ranch low carb Zucchini boats recipe combines the two! These Chicken Bacon Ranch Low Carb Zucchini Boats are perfect for getting the amazing flavor combo I love with an awesome dinner! 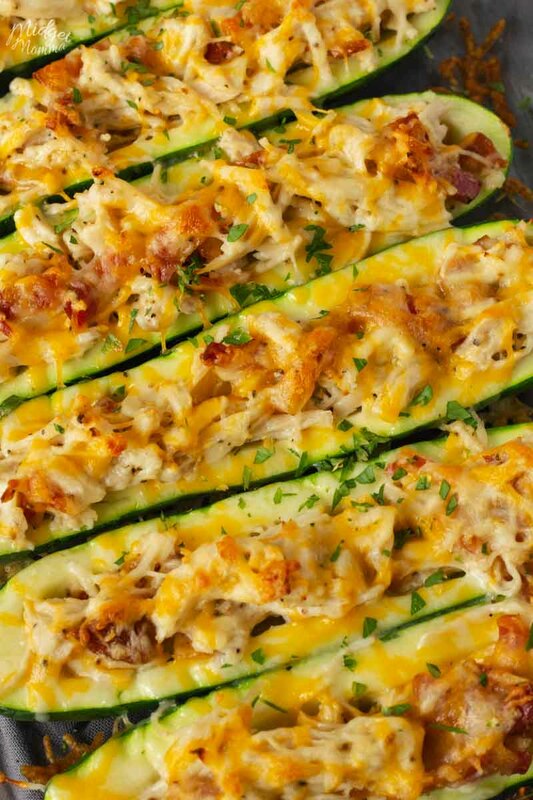 Chicken, bacon, ranch and cheeses fill a zucchini boat and then cooked in the oven for an amazing low carb zucchini recipe. When I came up with these Low Carb Zucchini Boats my whole family thought I was a little bit crazy at first, however once they took a bit they all loved them! 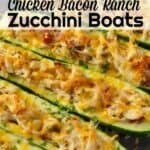 Chicken Bacon Ranch Zucchini Boats can be perfect for the main meal or if you are wanting a low carb side dish. 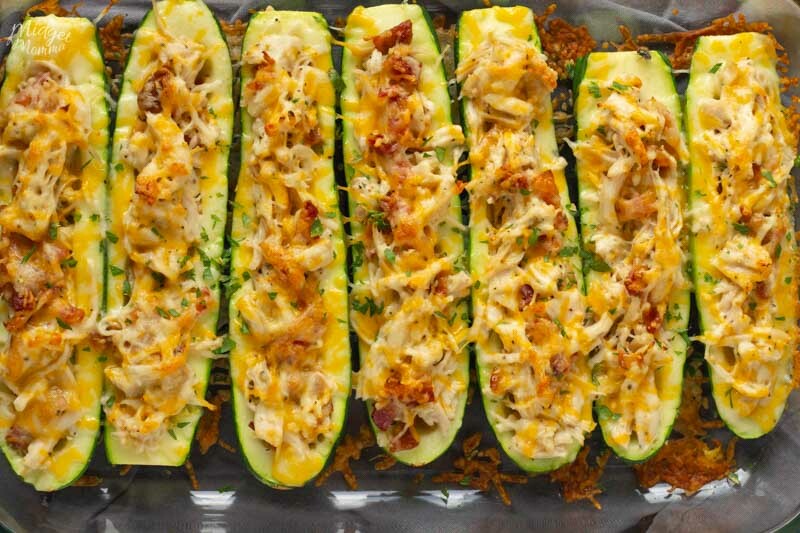 These zucchini boats are also great when they are reheated for lunch the next day. 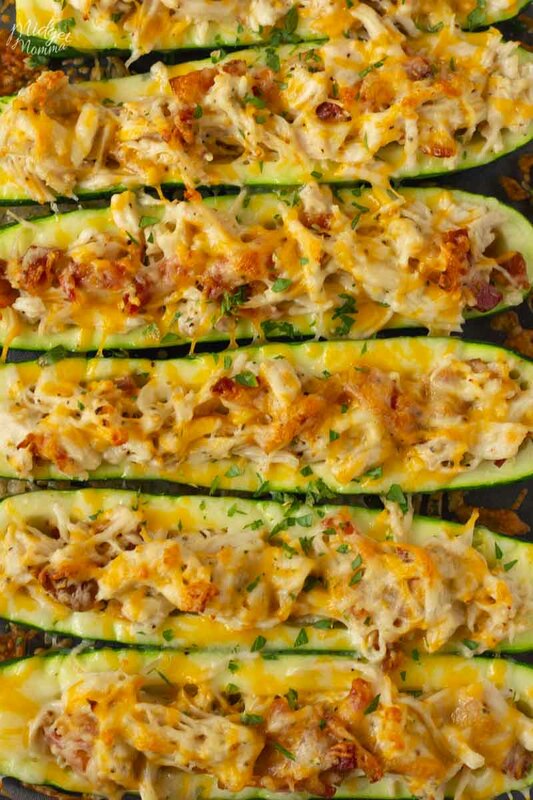 If you are looking for an amazing stuffed zucchini boats recipe you are going to love these Chicken Bacon Ranch Zucchini Boats! These Low Carb Zucchini Boats are simple to make and make a perfect dinner! If you are looking for side dishes to go with these Low Carb Zucchini Boats check out a few of our favorites! I know many people hear the words low carb zucchini together and think they are going to be lacking flavor, but I can tell you that this low carb zucchini recipe is going to be loved by everyone! Yes, even those who are not hunting for low carb recipes. 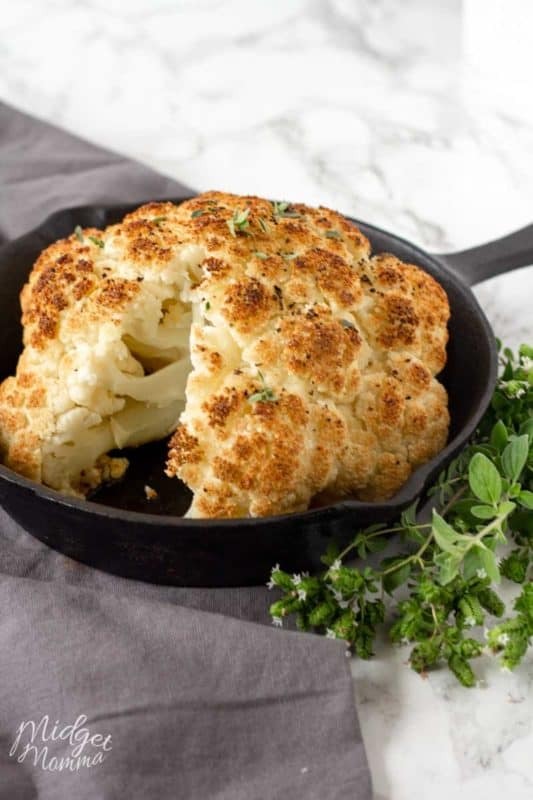 This is one of those recipes that I make when we need a low carb recipe that everyone will love, with out anyone thinking they are eating a low carb meal. The flavors in this easy zucchini recipe has never had any complaints by anyone. I am also not even sure if anyone who has tried this zucchini recipe even realized that it was a low carb recipe. Anyone who has tried it has raved about it, so if you are looking for an amazing recipe for when you have guests over and you are sticking to low carb, this low carb zucchini recipe is perfect! I am sure you have noticed how much we love Chicken Bacon ranch so make sure you check out our other Chicken Bacon Ranch Recipes! We love Chicken Bacon Ranch Pasta Casserole, Keto Chicken Bacon Ranch Casserole, Chicken Bacon Ranch Fries, bacon Ranch Potato Salad, Bacon Ranch Pinwheels and Keto Crockpot Chicken Bacon Ranch! Honestly though I am not sure I could tell you which one of those recipe would be my favorite chicken bacon bacon ranch recipe, since all of them are amazing! These Chicken Bacon Ranch Low Carb Zucchini Boats is the perfect low carb zucchini recipe. 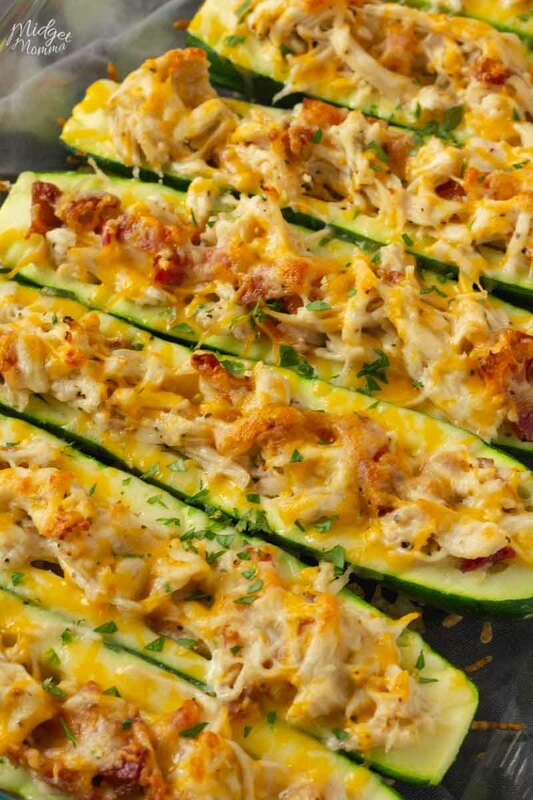 A Tasty zucchini boat stuffed with chicken, bacon, cheese and ranch! 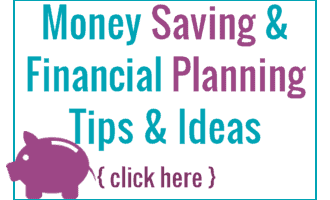 In a medium pot boil your chicken until it reaches an internal temperature of 165 degrees. Remove your chicken from the pot and use two forks to shred the chicken. In a medium mixing bowl stir together the chicken, bacon, garlic, ranch, salt, and pepper. Cut your zucchini in half lengthwise. Using a spoon scoop the seeds out of the zucchini to create a well for your filling. Place the zucchini into a 13x9 baking pan. 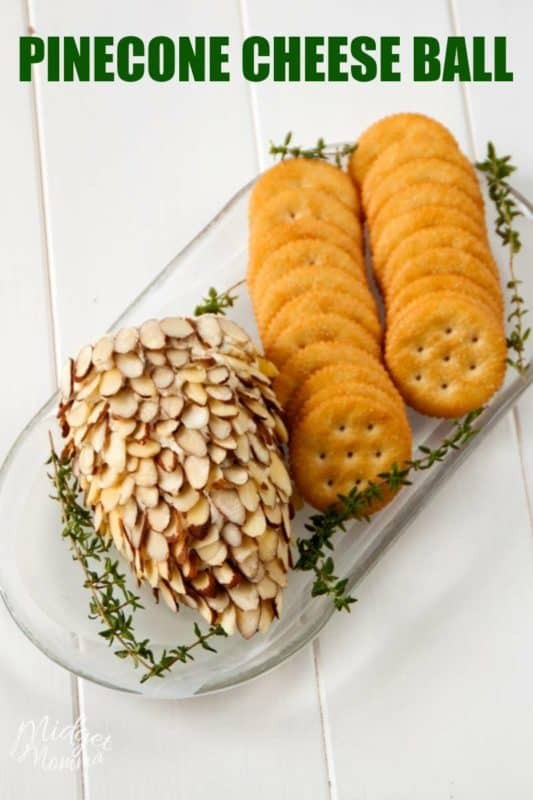 Fill the zucchini with your chicken mixture. Sprinkle the tops of the zucchini with cheese and cover the pan with aluminum foil. Bake for 20 minutes and remove the aluminum foil and continue to bake for another 5 minutes. To make your kitchen life easier make sure you grab the How Many Pints in a Quart? and all other liquid measurements printable chart! If you are looking for more Low Carb and Keto Friendly Recipes to make after trying these low carb zucchini boats make sure you check these out! Looking for more Zucchini Recipes? Check these out! Looking for more Chicken Recipe? Check these out!